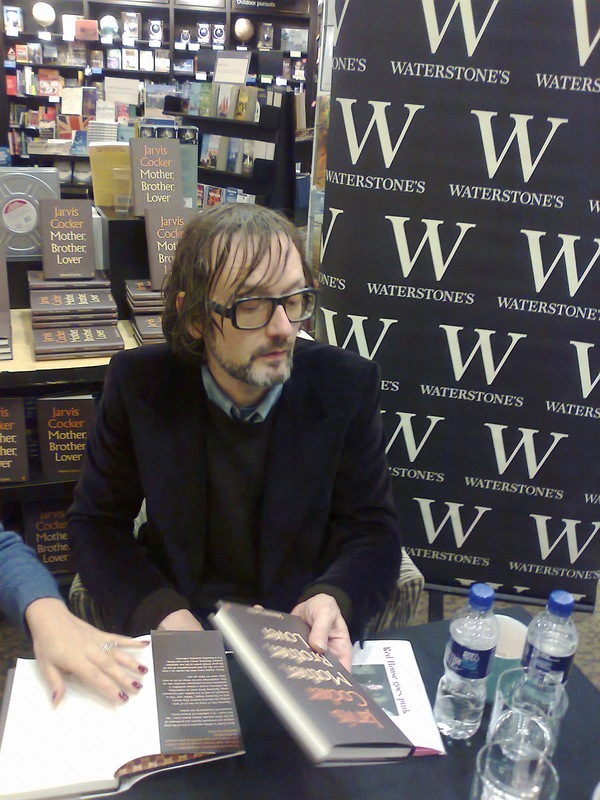 Waterstones in Sheffield town city have been holding regular book signings over the last couple of weeks and with Jarvis having a new book out it just couldn’t go amiss now could it?The book is called Mother,Brother,Lover and is basically his lyrics from early days to present,and how he approaches writing them,as I’m born and bred in Sheffield quite a lot of the words mean something to me,places mentioned and characters from Sheffield who i either know or know off,Now Jarvis is a a great one off character,who as we all know stuck to his guns from the late 70s early 80s with his band pulp until finely they made it big time,Anyway here we where on a rainy Thursday afternoon,myself ,wife and son outside waterstones where a queue had been forming from 11.30ish although the signing didn’t start till 5.30,and there was loads arriving to join the queue which was all nice and friendly with staff giving out numbered tickets to stop people pushing in etc,A very mixed crowd with students rubbing shoulders with middle aged fans,young teenagers stood at the side of office workers all with one thing in common,they liked Jarvis cocker! 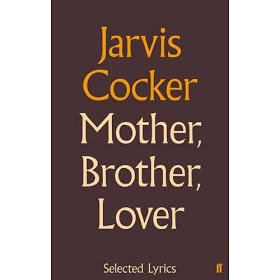 and all clutching newly purchased copies of said book,finely the queue started moving and we all followed it around the shop (by way of the Xmas best sellers!) and there we where when the great man himself walked in! sporting long hair dripping with rain and a knee length overcoat and best of all his little dog in a coat on a lead!! great stuff! no superstar here! the queue steadily moved over the next hour and finely we made it to the signing area where we patiently waited until we where “Summoned” by the great cocker,with his dog laid on a settee resting his neck on the arm it made a great sight,and as my wife handed Jarvis her book he enquired of my son’s name and said hi to him and he pointed to some light refreshments and came out with a great quote “help yourself to biscuits and grapes”what a great star! my wife was speechless which is unusual for her! 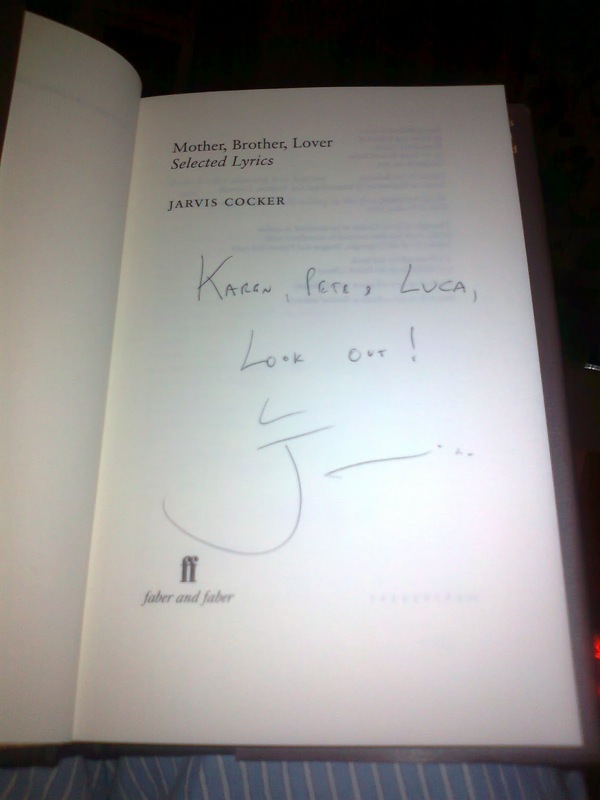 thanks Jarvis you are a great star! !